Bolivia should produce World Record Holders – why doesn’t it? I’m always conscious of not trying to make my blogs all about me as a) I think it’s a bit boring for you lot reading and b) it’s a bit lazy. So instead of writing about me this time I’m going to give a largely mis-informed, inaccurate piece about distance running in Bolivia, with a lot of guesswork. Amelia and I just came back from our honeymoon here, this isn’t plucked out of a hat. 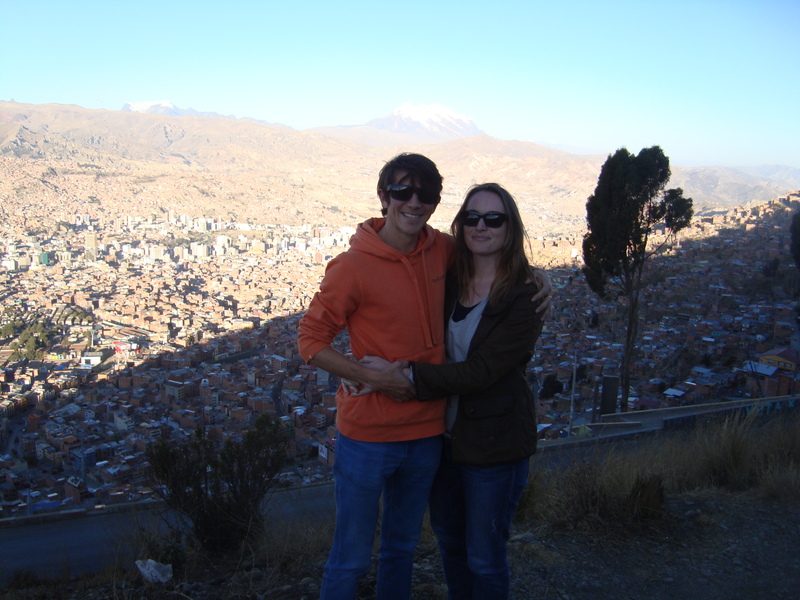 Bolivia is a country that has had it’s fair share of political turmoil (they had 6 presidents in one day once! ), economically underdeveloped, and with many communities living at altitude between 2,000 – 4,000m. Ring any bells? Similar to Kenya and Ethiopia no? Yet Bolivia as a whole is rubbish at running relative to the aforementioned powerhouses and in fact relative to most places. Their male marathon record is 2.17.49, set by Juan Camacho in 1984, and their female record holder is Sonia Calizaya, with a 2.45. I took some satisfaction in noticing I’d have every national record from 3,000m upwards! So why is it that a country with so many communities at altitude and a lifestyle that in many ways mirrors the rural ways of East Africa, that they fall so short when it comes to distance running? Well I certainly don’t have the answers. But there are a couple of ideas. One is that culturally, running has just never caught on. No-one wants to run and they don’t have the ‘heroes’ to bring some success that would spark an interest. Another of course could just be genetics. The average Bolivian looks very different to the Kenyan and Ethiopian distance gods – much shorter and stockier in general. You see that city down there? That’s where the marathon starts…. These two factors on their own could satisfy most people, and could well be the answer. After all it makes sense that if they don’t have largely share the genetic gifts of the East Africans, and no-one takes an interest in distance running, well, you won’t get thousands of kids out running! So I took a look at what races existed in La Paz and there aren’t many. 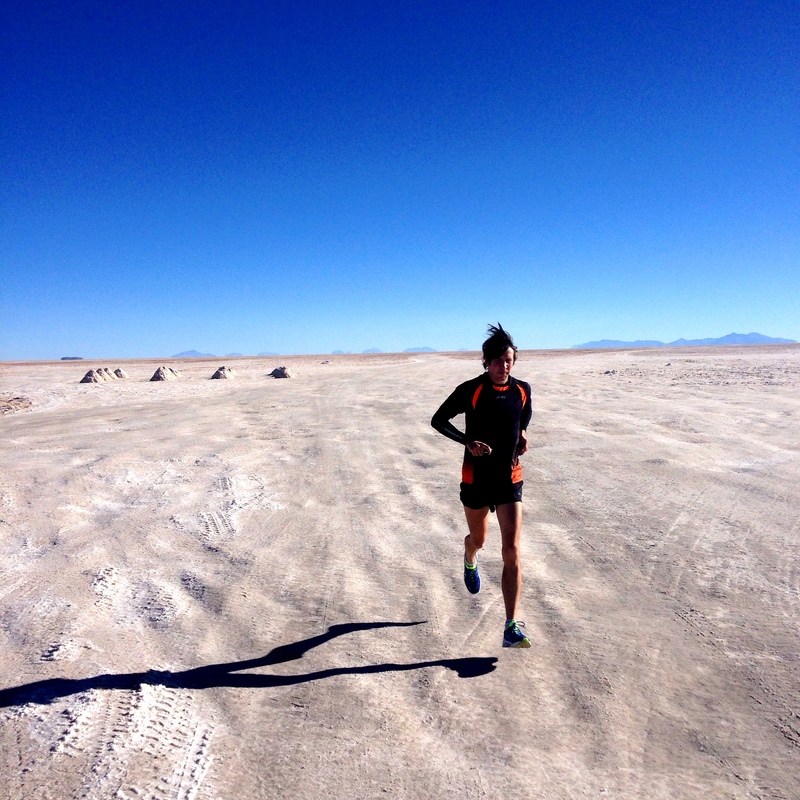 Running is not hugely popular in Bolivia – as we thought. However, the La Paz marathon was launched in 2013 with 2,500 runners and the male winner ran 2.33. Pretty ordinary no? Well I just went to La Paz and I can tell you, I don’t think I could run 2.33 there. For a start it’s at 3,600m. Secondly, it is HILLY. The first 9 miles of the course goes up about 300m in elevation and I think that in itself would kill me. Jeez, even our taxi could barely get up the hill when it took us to the airport. I thought that 2.33 was a pretty remarkable time to be honest. The hills must be worth nearly 10 minutes on their own, before you even factor in the huge elevation. So that comes the question, what could this guy run on the flat, at sea level? I looked him up – his name is Eduardo Aruquipa and he is not a full-time athlete. He has a PB for the marathon of 2.26, and a half PB of 64.47. His half marathon was run at 2,600m, but his marathon was set in Caracas, at just 900m. To be fair I know nothing about Caracas and maybe it’s super hilly (I’m too lazy to try and find out), but considering he ran 2.33 on a super hilly course at 3,600m+ you’d expect something better than 2hr26m at 900m. This phenomenon isn’t just unique to Eduardo – many Bolivian athletes seem not to perform much better at lower altitude than they do at altitude. WHAT IS THIS MADNESS? Well, having just read David Epstein’s amazing book – “The Sports Gene”, I think he explains this amazingly and it wasn’t something I was aware of. It is that different communities have adapted to altitude in varying ways. Andean natives have adapted to altitude by creating more haemoglobin (i.e. red blood cells), making their blood more viscous, and this doesn’t help much when down at sea level…. By contrast, the East Africans have been at altitude for a far shorter period of time and so their adaptation isn’t genetic, it’s physiological, similar to when most Europeans travel to altitude to train. So while the effects are similar in some ways – more red blood cells, oxygen carrying capacity, etc it’s much more transient and dependent on the environment, not our genes. In short, my red blood cell count wouldn’t be as high as a native Bolivian, and my adaptations (and the Kenyans/Ethiopians) would be more useful when back down at sea level. So the effects of altitude aren’t actually that helpful to native Bolivians (relative to Kenyans, Ethiopians, and me), and this is because they’ve lived at altitude so long that they have genetically adapted to this environment, and this adaptation doesn’t assist them as much as you’d expect at sea level. Me struggling along the Salar de Uyuni at 3,700m! Combined with this of course, is that actually a lot of Bolivia is perhaps a bit too high at 3,000m+ and so the benefits of training this high up are less pronounced than between the sweet spot of 1,500-2,500m. 3. 3,000m+ is too high anyway. Come down about 1,000m guys and you may get some better results. Bring your llamas, it’ll be ace. If anyone reads this and I’ve got any of this wrong, please correct me. I claim no authority on the knowledge here…. I do know that I tried running at 4,000m on the admittedly incredible landscape of the Bolivian salt flats and while it was amazing, it was also VERY hard!!! Cool place to do a training camp though…. This entry was posted in Musings by benjimoreau. Bookmark the permalink. As a Bolivian I can tell you there is just no running culture! Also, how many active running clubs do you know in Bolivia? In a developing country ,people do not see this as a lucrative sport, actiolly they do not even consider it a sport! thats how far away running is in Bolivia. Give it some 8-10 years and you will see a lot of Bolivians in podium places. The running culture is just starting here! (I think there was a little spike in the 70s or 80s) but now its starting stronger! Toroya got gold in an European elite race, Vidal got silver in the pan american youth games in Canada, Adiviri won in 1 in Peru and Ecuador,etc. Its growing a lot, for a country with no running culture/interest where people cannot make running a career Bolivia has a lot of good runners. As Daniel said give it some years the yough specially is winning a lot , in the Pan Am youth games they got gold and silver. Above the USA, Canda, Brazil and Argentina.